Well here are a couple of remixes I thought I'd update from the Justice duo. The newest remix is the one which has been burning up the blogospheres. The Justice remix of Lenny Kravitz's track "Let Love Rule 2009." Personally, I love it. Justice brings a delicate funk to the track and with Lenny's peaceful lyrics, this makes for a fun, take on the original track. The next track is a gem to me *if it is legit*. It's an unreleased, unofficial Justice remix of a track named "Taken Away" by the brilliant Digitalism. This track is just really good electro, and instrumentation, very different from the Justice trademark sound they usually have in their remixes. *Update: There have been many fingers pointed to this post, claiming the Digitalism remix is not legit. This is why I put the disclaimer: unofficial. It has not been certified or recognized as being a remix by either camp, Justice or Digitalism. So for all we know, I don't know and neither do you. 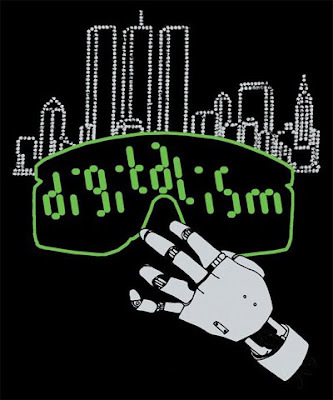 Nope, that digitalism remix is not real.